Could October 24 be Liza Soberano and Enrique Gil's anniversary? 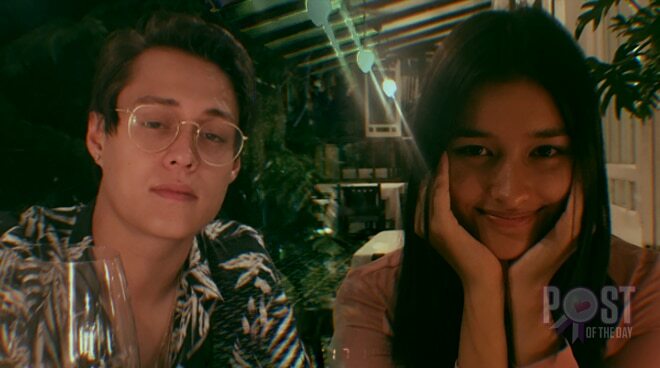 LizQuen fans are going gaga over Liza Soberano's recently posted photos on Instagram. Apparently Liza is having a special candle-lit dinner with Enrique at a fine dining restaurant in Tagaytay. The actress only captioned the post with a rose emoticon. Most of her followers speculated that she and Quen are celebrating their anniversary as a couple. In past interviews, the two stars insisted they have yet to make their relationship official although both have admitted that they have feelings for one another.